The people behind the construction of “The Hub”, managers Tony and David Black of Black and More (a Cairns-based engineering and project company), project co-ordinator John Darbyshire of the Department of Education and Training’s infrastructure section and Cairns builder Luke Vis of Vis Constructions. ATHERTON State High School’s special education unit has been renamed the Individualized Learning Centre to better “capture the essence” of what it is about. She commended the proactive parent Diana Reda who shot off letters to the minister and achieved an incredible outcome. “We needed a modern facility with the appropriate standards and equipment,” Ms Carne said. She commended students with disabilities teacher Charlene Reedman who undertook research and visited other “hubs” to ensure the Individualized Learning Hub would meet the needs of the school. Among the others she thanked, Ms Carne singled out Atherton State School. During construction, the primary school shared its facilities with the high school students. “I thank all the other Tablelands schools in the local cluster who supported us,” she said. “We all know the strength of our community is our youth.” While most speakers at the opening of “The Hub” lavished praise on the woman in the pyjamas, Diana Reda was grateful to all those who made the new facility a reality. “You opened the door for not just these students today but those students and their families in the future,” she said. 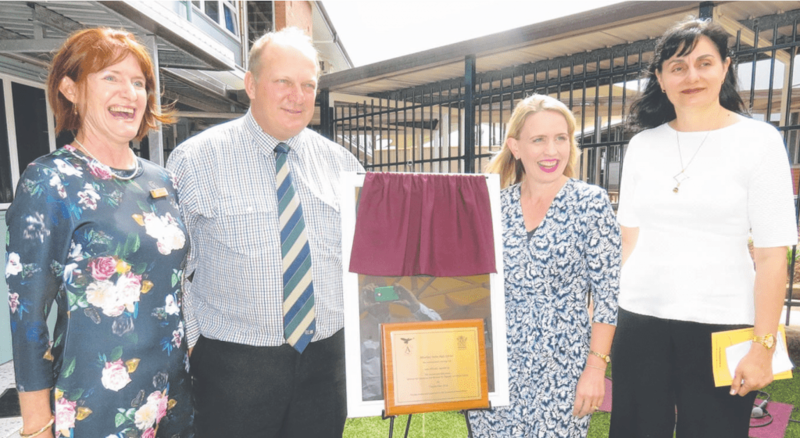 Ms Reda thanked Education Minister Kate Jones for fast-tracking the project in a matter of 12 months and the Member for Dalrymple, Shane Knuth. “Mr K, thank you for listening to the crazy lady in her pyjamas in the street. I saw my chance and I took it.” She thanked Atherton State High School principal Tony Whybird, who was on leave, for supporting the project as did the P&C.